A Show of Pots for Hedy Goldsmith, Please! 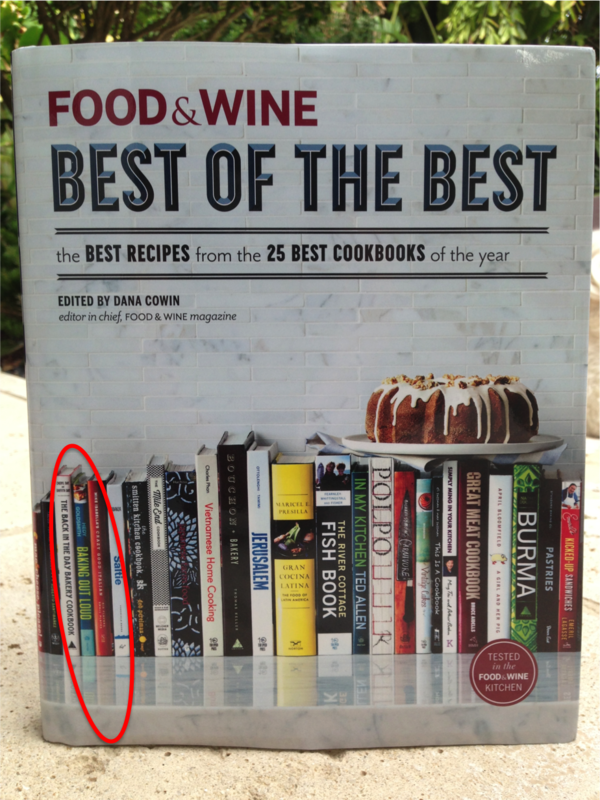 Every year, the Food & Wine Test Kitchen evaluates over 150 cookbooks to select 25 they like best! Then we all get to enjoy an anthology called Best of the Best: The Best Recipes from the 25 Best Cookbooks of the Year. We are proud to share that Baking Out Loud: Fun Desserts with Big Flavors was selected for 2013, and Hedy’s copy arrived in the mail yesterday! Raise your hand if you want one too? We thought so! In addition to Editor in Chief Dana Cowen’s pick of recipes from each tome’s table of contents, one bonus, never-before-published recipe from each author is included, plus advice on wine pairings. Hedy’s featured desserts are Nutters, Raspberry Bars, Pots de Creme and Milk Chocolate Jellies with smoked sugar! Since it’s just the way we feel about The Genuine Kitchen blog readers, we are giving away two pairs of signed Baking Out Loud and Best of the Best cookbooks. 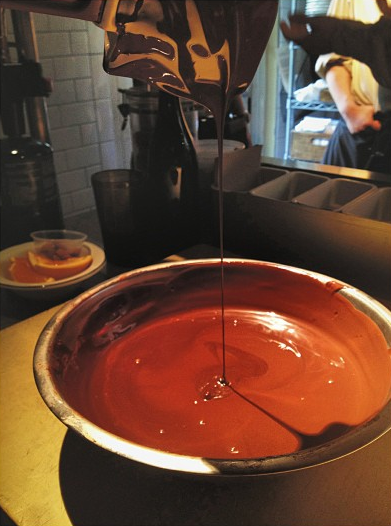 To enter to win, please snap the most drool-worthy photo of a Hedy Goldsmith sweet (dessert and brunch menus are both fair game) enjoyed at any The Genuine Hospitality Group restaurant, post on Instagram and/or Twitter, and tag @hedygoldsmith #sweetsnaps. Multiple entries are allowed, and you have until 12 midnight on Sunday, June 23. Hedy will choose two winners (one in Grand Cayman – where she is currently stationed! – and one in Miami) and announce them with #reposts on Monday the 24th! Last year’s Best of the Best collection celebrated winning dishes from superstar authors such as Giada DeLaurentiis, Jamie Oliver, Alice Waters, Eric Ripert, and a certain chef Michael Schwartz! Let the show of pots begin!